Valentine’s Day with little boys is fun, since they are still into holidays, especially when they involve candy! 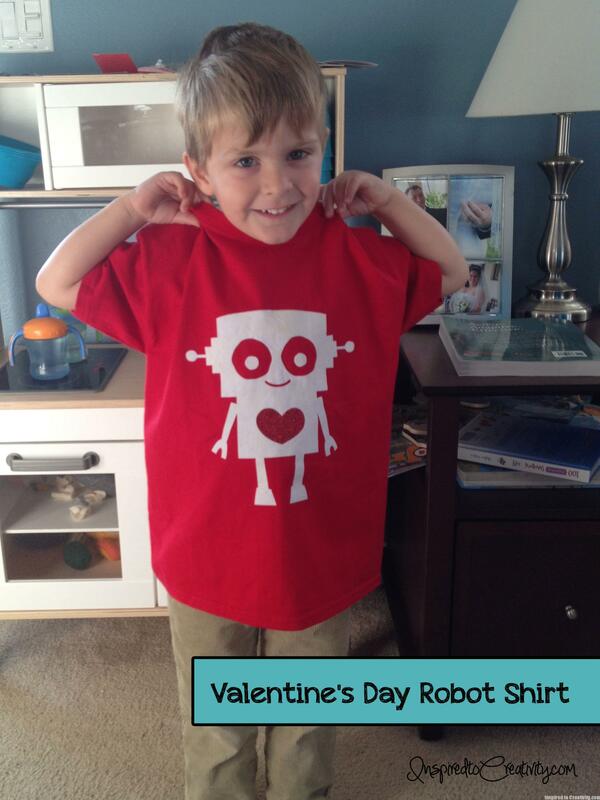 Since my son loves robots and the color red, I thought the perfect compliment was this super cute robot that was in the Silhouette Online Store. To make the robot body I just used white flocked heat transfer material and cut it out. I purposely made it a bit big so he could wear it again the following year. Then, because I’m a girl who loves a little glitter, I cut out the heart portion out of red glitter heat transfer material. Then I just ironed it on and it was good to go!